By the middle of the nineteenth century, University of Glasgow students were travelling to Chile, and almost exclusively to Valparaíso, an important port city. Used as a stopover point for ships passing the Horn from the Atlantic to Pacific oceans, Valparaíso took on a greater role during California’s gold rush (1848-55), which marked the beginning of its commercial expansion (1850-1883). 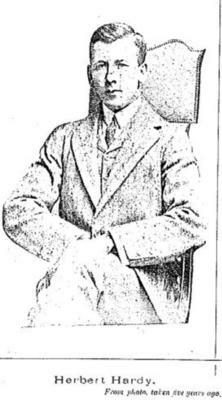 One of the University’s earliest students, Thomas Coventry Wedderspoon, was in fact one of the many businessmen who took advantage of the Valparaíso to San Francisco route as a commission agent. As the number of foreign residents in the seaport burgeoned, so too did the number required to serve them. Clergy and teachers were among the earliest students of the University to migrate to Chile to serve the expatriate community of workers who were increasing attracted to Valparaíso, where, by the 1870s, the two main industries of mining and railways had taken off. The University’s earliest student with connections to Chile was the Reverend John Guy, who would have preached in the first Protestant church built on the West Coast of South America, the Union Church (founded in Valparaíso in 1847 and built in 1855). Peter Mackay, MA 1852, was the first Principal and one of the founders of what is now the Mackay School in Valparaíso. As well as engaging in business links with Chile, as the locomotive engineers of Dubbs & Company, many students of Glasgow and their families first established their businesses in Valparaíso, making Chile their home. The customs agents of the Hardy family, and the stationers and printers of Casa MacKenzie are two examples of Scottish-Chilean families. From 1880 to 1965, twenty-six Chilean-born students enrolled at the University of Glasgow. They tended to be the sons and daughters of engineers working on the ships and railways, or merchants and businessmen, who came to the University of Glasgow primarily to study Science and Engineering (15), followed by Arts courses (5), Medicine (4), and Law (2). 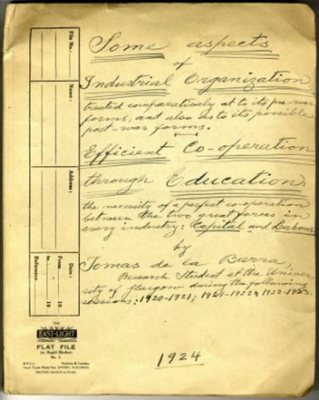 The first Chilean postgraduate student and indeed the first foreign student to obtain a PhD at the University was Tomás de la Barra, son of a statesman by the same name, who graduated PhD in 1924 with his thesis Some aspects of industrial organization. He was an advocate who had previously published on consular legislation of Chile in 1918, and was appointed General-Consul of Chile at Glasgow and later at London. His daughter, who acted as his secretary, also served as Consul-attaché at Glasgow and London at a time when posts for Diplomatic and Consular Services in the UK were reserved for men. Glasgow has girl consul was one headline making the newspapers of the period. 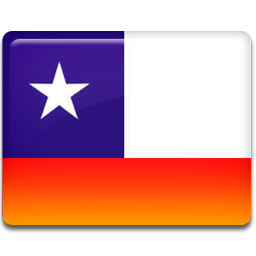 * This is the earliest graduate associated with Chile that we have found. There may have been others we haven't found yet, or who studied at the University but didn't graduate.